I have to say I really enjoyed this movie. Gerald Butler never seems to let me down. Not only is he good to look at on the eyes, but he is a fantastic actor and this movie just gave his fans even more confirmation. This was such an inspiring movie that had me filled with tons of emotions. I laughed, I cried, I never took my eyes off of the screen. I was that invested in this movie. 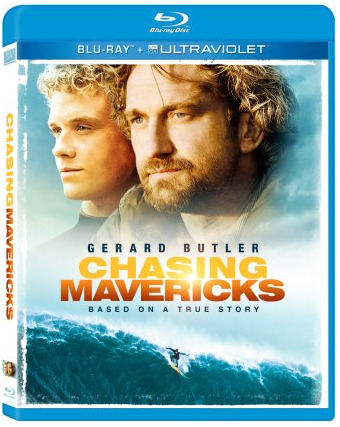 It even had me looking up the real surfer, Jay Moriarity, which the movie is based on. I'm not a huge surfer fan, but I do respect the sport and the people who dedicate their life towards it. If you're looking for a movie about true friendship and following your dreams this is definitely something you need to see. Disclosure: All opinions are my own. I received Chasing Maverick on blu-ray at no cost for the purpose of this review. No other compensation was received. A big thank you to the PR Company for providing the giveaway prize(s)! 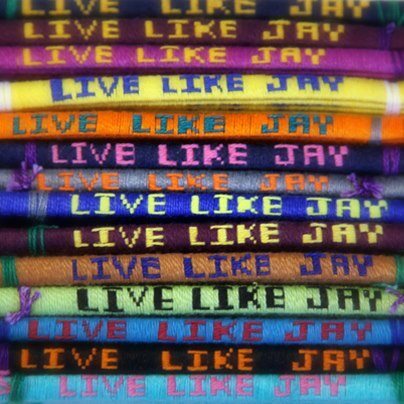 Lucky for three of our Just Us Girls readers we have a Chasing Mavericks prize pack where you can win a blu-ray copy of the movie along with two, "Live Like Jay," bracelets!